Confuse with whether to root your android phone or not? 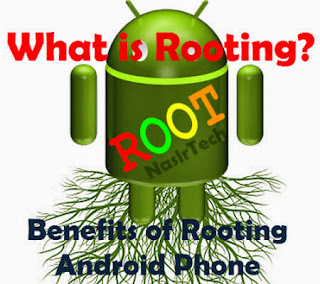 Let's have a look on what is rooting and benefits of rooting android phone. Rooting is a very common term amongst android users. After having an Android Smartphone or Tablet, most of us search Internet for a rooting guide for the device. However, in this article we are not going to give you any rooting guide to root your android phone, instead you’ll get a clear idea about rooting android phone, Advantages and disadvantages of rooting android devices, so that you can decide yourself whether to root your android phone or not. So, what is rooting? Rooting is basically a way to get admin right or full control over phone’s operating system. Manufacturers are used to inactive some of the advance system features by default to prevent average users from causing damage to mobile operating system. Android is most customizable mobile operating system ever but most of the advance features stay inactive by default. Rooting helps to remove all those limitations and give you the full power to control or customize advance settings, features, and performance of your phone. *** Runs various Apps which ask root permission: One of the great advantage of having an android powered phone is that, you can download and install tons of free apps from the Google Play Store which give your android experience a different level. However most of the great apps in Google Play Store works with rooted android phone. There are plenty of normal apps available which works with non rooted android phone but root apps allow more features and control to access system settings and tweak various features. So, if you have a rooted android phone, you can enjoy lots of great apps from Google Play Store. *** Flash Various Custom ROMs: One of the most important advantage of rooting android phone is that, you can enjoy various custom ROMs on a rooted android phone. If you don’t know, Custom ROMs are made from the source of official firmware by third party developer which provide many customizable features, increase overall processor speed, change the overall look of your android phone and many more. With a rooted android phone you can enjoy various custom ROMs like- CyanogenMod, ParanoidAndroid, AOKP, PACman, SLIM ROMs, MIUI and much more. *** Free up lots of System Memory: One of the major complain of android users that internal memory is full of defaults apps and very low space for installing new apps. Its true that most android phone comes with huge system apps by default which takes a big amount of internal memory. But with a rooted android phone, you can transfer apps to External SD Card or install apps to SD card. Hence you can free up lots of internal memory space. Yes, along with many benefits, rooted android phone have disadvantages too. Check out below to find disadvantages of rooting android phone. *** Rooting void manufacturer warranty: The main disadvantage of rooting android phone is that root void the phone’s manufacturer warranty. Means, once you rooted your phone, your phone’s manufacturer will not give you warranty even if your phone is in warranty period. The service centers will charge for any service they provide for the phone. But this is not a serious issue as you can un-root your device any time and get back your manufacturer warranty by re-installing the official firmware. *** Rooting might brick your phone: First up all you should know that rooting your phone is a very serious task and should be done carefully. You’ll find a number of rooting software and tools that help rooting process very easy even for normal user but ones should take help from advance android users who have already done the rooting process. Follow every step carefully while rooting your phone else you might end with Bricking your phone. Taking any wrong step or flashing corrupted root file may cause your phone brick, means your phone will be dead. Hope you now understand what is rooting and disadvantages and benefits of rooting android phone. Rooting voids manufacturer warranty, rooting might brick your phone but if you can take the risk then you can experience all those great apps, custom ROMs and much more. Its now on you, whether you want to root your phone or not. If you want to know anything else related to rooting android phone, then feel free to contact with us using the comment form below.